The world and human beings are made from mutable matter on purpose. The purpose is to provide the opportunity of learning from mistakes. I have made many mistakes in my life. Some of them have been huge and hurt many people. They come from the kind that cannot be undone. They live forever in the time warps of space, and I will live with the consequences of some of these big mistakes for the rest of my life. Not all my mistakes, or your, are that serious, but I rejoice in the understanding that I will not be burdened by their temporal consequences throughout eternity. My own life provides testimony to one of the chief reasons why God placed the power of deciding creative identity in mortal bodies: there are natural limits to the consequential scope of human mistakes – even if the scope so impacted is global. Yes, humanity can destroy this planet and probably even wreak some havoc within out solar system, too. But not much more than that. And it is all matter and temporal, transmutable energy that is bound by time and space and subject to destruction. The other reason God made us flesh is that mortals can learn from their mistakes and make changes that have positive repercussions for a spiritual eternity. The world and human beings are made from mutable matter on purpose. The purpose is to provide the opportunity of learning from mistakes. The blaring, honest truth of the human condition is that we do not truly, deeply learn any other way. Conscientious parents who try to spare their children from experiencing the ugly and painful lessons of their own lives know what I mean. No matter how hard we try to tell, teach, share and explain these valuable, sometimes painfully learned lessons from our own lives, it seems that our beloved children deafly insist on learning these same lessons all over again for themselves according to their own hard way suffering their own pain. I think that God often “feels” this way about us, yet He is far better at administering the tough love required for eternal righteousness than we are. Our personal spiritual journeys and roles as parents or teachers of others should be improved and made a bit easier if we remember that the most important forgings of eternal character are smelted in the extreme fires from our faults because we must bear our own frightful fruits of foul feats and fits of selfish motive and goal. God permits us to “do it my way” until one is so sick of “my way” that he or she chooses the ONE way of God in Messiah/Christ. We should follow His example in our dealings with humanity. It provides the balanced approach to tolerance and respect for human autonomy and personness. Besides the observation that humans possess creative potential similar to (in the image of) God, we chiefly differ from angels in our opportunity to make mistakes and learn from them. Angels are referred to in the Bible as messengers, as supremely powerful and intelligent tools of task, but not as creators. (Psalms 104:4; Hebrews 1:5-14) They may retool but not compose from nothing. As metaphysical servo-mechanical beings, angels cannot be repaired. Mistakes create breaks, and small breaks fracture endlessly in the realm of eternity so that small mistakes irreparably grow to bigger ones because they are immutably permanent. Thus, the appropriately fair administration of divine mercy structurally varies when applied to fallen angels as opposed to fallen humans. Since most theological solutions regarding what to do about sins or mistakes is revealed by fallen spirits to us humans, we need to remember that they do not know what they are talking about when it comes to human forgiveness and redemption. What a broken metaphysical messenger thinks is true about itself has no bearing when it comes to mortals. In fact, this differentiation demands that mercy should not be measured, received and/or applied to fallen angels with any innate similarity to what is suitable for fallible humans. The primary except to this generality applies to those humans who choose evil knowingly, desiring the temporal illusions proffered by the powers of darkness for the now. By doing so, these fallen mortals becomes as twisted in their spiritual potential as the darks spirits they serve and therefore share their same hellish fate of burning destruction to the oblivion at forever’s end. There is a forever that lasts only as long as the physical realm of the universe. The age lasting, temporal forever is transcended by an eternity represented in the Bible as a “new Heavens and New Earth” that I believe will be crafted out of the pure metaphysical light-matter in which no darkness abides. The present metaphysical and physical realms of the universe are crafted from light-matter that by nature is an indivisible meld of light and darkness, good and evil, yang and yin. For further discussion on these concepts read my book: digital spirituality, The Search for Spirituality Amidst the Artificial Realities of Global Materialism. The throne of the king is upheld by truth and mercy. Mercy becomes truly valuable when it is transformed into grace. The difference between the two is the difference between death postponed and life renewed. Mercy is forgiveness extended by one in a position of power over another, the powerless offender or victim. Mercy is unidirectional, flowing one way: The attitude of the recipient of mercy is not a factor beyond the recognition of an immediate need to yield and admit a moment of powerlessness. The grantor of mercy gains nothing from the recipient except for some ritual acknowledgment of his mastery, for which there is some limited value, for example, an enhancement of political status among a desired audience who witness or learn of the act of mercy granted. The magnitude of the grantor’s gain in status and the recipient’s relative loss vary inversely to the previously perceived standing of the grantor. Grace reveals itself as an act of mercy lovingly extended in good faith that is received in humble thankfulness and broken appreciation. Grace is mercy accepted as a recognized act of love and so engenders love in the forgiven for the forgiver. It is a mutual exchange of love, sharing a risk in faith and a hoping in joy for the potential of an enduring peace. God is rich in mercy, yet He seeks greater abundance in grace. To achieve His desire, God has given humanity creative capacity and a free will. With these gifts inherent, people are capable of modifying the natural environment as well as govern both natural environment and other humans. Free creativity not only constructs its own sense of reality, it also expresses that reality through the agency of a flexibly adaptable body capable of mobility and manipulation: a mind housed on legs with hands. Consequently, humans have created environments like enclosed malls which are fully under the control of a creative design within the limits of mechanical operation. Beyond the billions of micro-environments built and beautified, our cumulative efforts have combined to extensively modify the global environment. The vast impact of human civilization on nature - most of it rapacious - is beyond the scope of this book. Suffice it to note that the actual picture is more complex than how environmental issues are often presented in various media. But a human being - even endowed with all the great gifts of his creative potential, cannot change his own nature. A person may modify his behavior and/or may radically remake his appearance, but no man or woman can cleanse a heart or purify a mind. We cannot do it for ourselves, nor can we do it for others; however, we can and should encourage another through the practice of forgiveness. Each of us possesses the potential of become healing agents of God’s grace, beyond and including body towards soul; however, without God to power us, none of our efforts and labors are able to penetrate to the essence of our own or another’s being - much less last the test of eons. Any lasting success a person may have is in itself a proof of God’s presence in the work done - at least in part. This is the testimony of Paul’s letters to the Romans and Ephesians: by nature all men are spiritually dead in sin, impotent to save themselves, that is, to change their state of being. We mortals are naturally cut off from God, aliens from His essential nature of holy love, and being. Natural human unworthiness denies us access to omnipotence and immortality. Immortality without love would be pure torture. As far as omnipotence is concerned, God has placed us in mortal bodies in order to limit the harm we can do to ourselves or to one another and/or the creation as a whole. Even so, the Bible prophesied thousands of years ago that Jesus will need to return in power and might in order to save us and His creation from ourselves. Even the most cursory observation of our global state of affairs confirms our collective potential for utter destruction of life on earth as we know it. Deliverance comes through ONE’s personal participation in the mystery of Jesus’ death and resurrection. Through this vehicle of empathetic experience, ONE’s spiritual state of being passes from eventually certain death to promised eternal life by union in a covenant of graceful love. The state of human life shifts from impotence towards one of Godly transformation both in the inward as well as the outward life, enabling us to overcome all obstacles. Consciousness expands, wisdom deepens, and love abounds to the end that ONE recognizes and is equipped to do the good works of God. By “the good works of God” I mean more than charity, although that is one outward expression of God’s goodness. There is a profound difference in the quality and effect of human works when mixed with faith - in any format. The more faith is found inclusive of all participants the better. This is true for any social exchange. James writes that “faith without works is dead.” (James 2:17) So also are works without faith empty vanity: ego-driven and ephemeral, mere passing puffs of self satisfying pleasure in the midst of disparate demands for mortal survival at best sated temporarily. The “good works of God” do not always yield their potential fruit, for as God sends the blessed rains upon the just and the unjust, so does He shower the material goods of life so vitally necessary for mortal survival unevenly upon all. Like the rain, material blessings are unequally distributed. So much seems to depend on geopolitical environment and the chance of one’s birth. The problem is that too often these blessings - even though they come in mixed serendipity - are not received with thanks or in faithful recognition of their true source. This is not surprising. When Jesus healed the ten lepers, only ONE turned back to thank Him. God extends mercy towards the humble with the gift of His forgiveness, but God requires our co-creation of His grace by an acceptance and practice of His forgiveness founded in our absolute acceptance of its transcendental reality. Divine forgiveness must be as real, or more so, than any material substance. Evidence manifests in the ability to forgive ourselves as well as in forgiving others. We accept God’s mercy by forgiving ourselves. Then we incorporate it into our souls by our extension of forgiveness to others. By these two witnesses of acceptance and extension, we transform mercy into grace. Through this process of the Holy Spirit reborn within, we evidence a glimpse of the glory of God and become His face to others. The issue is not one of a pure soul entrapped in an evil body of flesh. The way of defeating evil or materialism is not by flagellation of the flesh nor is it through asceticism. The book of Ephesians is plain: a human is drawn to sin by both body and mind, the mind being the creative essence of man. The soul of man is sinful being self-indivisibly both good and evil by nature. The soul is the union of body and mind, the integrated wholeness of one’s identity. The soul is a created union/intersect chosen, submitted and opened to Jesus. The believer’s body becomes a fleshly temple where God is born again through the Holy Spirit and so creates ONE’s new identity. The transformed soul becomes the living temple of God - glory yet hidden from outward appearance. God is omnipotent, so the questions become, “How can omnipotence exist in an imperfect and mortal body? And, if God is alive here within me, how do I experience or release His omnipotence into my life?” Please note here, that I do not equate emotion with omnipotence. The answer is found in understanding the source of God’s omnipotence: grace. There is no limit to God’s capacity to forgive in love, which is a source of His omnipotence. God is the ultimate and consummate Judge knowing our innermost thoughts and feelings. There is no escaping His presence or knowing all of our public or private and secret behaviors; our habits; great or small acts of revenge, goodness or evil as well as all of our desperate desires and secret wishes. He made us. God knows us from before mortal birth, and He knows His new spiritual creation in process within us and in heaven, jointly underway as promised. One need but to discover in faith what God is doing, to uncover that activity’s presence in order to expose it to the nurturance of Light, watered by the Word and fertilized by the rotting body of one’s mortal ego. God is omnipotent because He can completely forget sin. For sin is death. God is totally alive, sharing no part with death. Hence death is the condition cut off from God, apart from His consciousness. Because He is Creator and Judge, the process inherits eternal consequence becoming the reality of matters from the perspective of eternity when God forgives and forgets. Mortal man resists this reality subconsciously by dwelling in the fears of his mortality remaining cognizant of past sins, failures, and twisted thoughts. This is a living death, which left alone is only and always succeeded by mortal death, an unconsciousness without existence because such a one is unknown to or remembered by God. The apostles referred to themselves as the slaves of God and the Lord Jesus Christ. So they were, and so they performed miracles of science suspended in accordance with God’s willful purpose. To release God’s omnipotence within our own lives, we must come into His presence and rest there in a state of surrender, acceptance and loving servanthood. This is the Sabbath state of mind, the rest of God commanded of man in order to serve Him. In our service of rest in faith God is permitted His creation of the new man, the new expression of Himself within us. In other words, the necessary prerequisites to doing the works of God by His faith are first to recognize the true God is not in our image and that we are not in His. Next, one connects with Him in repentance of who he or she is. So we become through the acceptance of the necessity for a Savior, through the acceptance of the Son of God’s sacrifice for us, reborn in Him as He is in us by the resurrection. This is the message of the Sabbath as a type of God’s Kingdom state of grace, of our withdrawal from the course of the world, of the cessation of our work and constant busy-ness. It is the consciously purposed choice to bring about the end of the ego so that we might stand aside in the face of our earned fate, which is our own immanent destruction at the hands of Satan. In such a manner the believer prepares for the resurrection of the salvation of God created in him. Just as Israel was transferred from certain death at the hands of the Egyptian chariots by the miracle of the Red Sea crossing, from the Kingdom of Death under Pharaoh to the wilderness way of purging passage, to the eternal blessings of abundance and liberty in the Promised Land, so the Christian is transferred from the dominion of the destruction to the promised life eternal of the Kingdom of God, now at hand and forever alive in power, by faith, for love’s endless purpose. God begins His work in our lives by the resurrection of Jesus again in us through the Holy Spirit, so begins the week of His works on the first day, now called Sunday. The cycle repeats while we remain mortal, which is to say until we inherit the perfection only permitted, and possible, in the true immortality of God’s inherent and regenerating power. By understanding that God is all powerful because He is all forgiving when there is true repentance, we reveal the vital key to personal and world encompassing transformation. The presence of truth is vital. Denial or cover-up of sin is not repentance, rather such attitudes and actions are expressions of the ultimate lie worthy of the Father of Lies, as well as being the root of sociopathic corruption of one’s being and behavior. The greatest deceit is to believe that one has repented by asking forgiveness, gaining it, and then continuing in the fullness of a life characterized by a corrupt ego-driven extension of control over anyone and anything in range. for the purpose of self-preservation through self-perpetuation. A high quality of resonant harmony within this witness of the Body is assumed in Jesus’ statement that He would be present in the midst of the gathered fellowship. It is a harmony of ONE presented in the mystery of the Trinity: God the Father, God the Son and God the Holy Spirit. For power to be released these three must agree in ONE. We find abundant evidence of fellowship oneness with God’s will in the New Testament where the early church was “in ONE accord” or communal prayer was followed by Godly signs of divine power released confirming the singleness in purpose of humans reborn with the Godhead. (Acts 4:31-33) The fact that this fellowship relationship is possible with only two or three present provides great flexibility but no less challenge. In fact I believe that often times it is more difficult to experience the grace of God with those we know well in groups of two or three than with a dozen or so. Genuine humility that truthfully faces ONE’s mixed moral nature is not achieved or realized on demand. It cannot be had automatically through the manipulative execution of some magical formula or ritual of faith. The believer’s faith must be mixed with that of God’s, our love ONE with His. The birth of the Holy Spirit within us through the acceptance of Jesus as Savior does not guarantee that our every thought is His. The human ego identity does not die in baptism but continues to mix with that of the new man created in Christ. The facts of such a condition of being provide ample opportunity for a person’s individual or a group’s (both small and large groups) collective self-deception, which is why the agreement of individual and members of the Body is not always the same thing as expressing the mind of the Holy Spirit. While the Father and Jesus may seem to agree between the two of them, they in fact always agree three in ONE because the Holy Spirit is always ONE with them. Whenever humans are involved in spiritual fellowship, the requirement for Father, Son and Holy Spirit to agree in ONE also remains: hence the admonition to grow in grace and knowledge so that we may become more attune to the ONEness of God’s purpose and presence in our lives. Fellowship is the vital key to this growth because the dynamic of the Spirit at work within a Godly group facilitates change within each member towards a more perfect love, towards a more perfect grace, towards a greater sense of need and acceptance of God’s forgiveness as the true reality, which in turn releases omnipotence to transform the material reality in conformity with the spiritual. Thereby the mind originates thoughts and feelings increasingly more often as the mind of God, and thereby the social and material environment of the believer modifies towards a state of life more akin to heaven on earth from hell on earth. The fact is that we find spiritual fellowship in the multiple contexts of our daily lives: at home, at work, in neighborhoods and communities, and from thence to increasingly more public forums. The intensity of God’s power released in any of these contexts is not necessarily realized by our senses nor by our intellect. It is not measured by emotion, although emotion may be present as the bridesmaid is prominently present at a bride’s wedding. The same may be said for new flashes of insight about the things of God: by themselves exciting but not necessarily a full expression of God’s mind or love. If a person actively seeks these insightful revelations through the natural spiritual power of the human ego for the sake of that ego, he or she will fall into the pit of satanic deception, perhaps incurring mental illness or becoming possessed of fallen spirits claiming to be God or Christ. Rather, a true disciple of Jesus must accept that the intensity of holy power released cannot be ordered or directly sought. Instead, God’s power is experienced at God’s discretion directly proportional to the depths of ONE’s living experience of powerless humility. It’s a true humility honestly founded on faithful repentance and the acceptance of God’s graceful forgiveness of our sins and naturally formed being, our nature, the old man, the ego-tree rooted in mixed-up good and evil. ONE’s acceptance of grace is commensurate with the degree of fullness with which he or she accepts a co-identity of Jesus as self, the new man born now in faith to be resurrected in power. The more complete ONE’s surrender in spiritual death - in the mystical co-participation in His crucifixion, the more fully can he or she participate in His resurrection to glory. We can’t just skip the Sabbath grace by extending Friday (human works) and get to Sunday (God at work in and through the believer). When try (on purpose because we want something or unconsciously because we have not died to self enough to notice) do so, we merely extend the activity our own, self-powered works in God’s name. In so doing. we claim as God’s works deeds performed through our own strength of will, desire, persuasion or muscular deed. What is actually our own, we attribute to God. Thereby is God’s name blasphemed among the nations, as it has been throughout human history. The list of atrocities justified by religious authorities in the name of Jesus exceeds the collective knowledge of humanity. This is an easy self-deception to fall into because people self-righteously present their own creations in the name of God. The deceived heart believes its own ideas and/or works to be God’s. Therefore, when these “works of God” fail, we lose faith and/or blame Him for not keeping His promises. Paul writes that we must die daily to ourselves so that God might dynamically work in our lives with enduring consequence instead of our ego powered works of passing goodnesses and vanities. (Read the whole context of 1Corinthians 15:31.) In essence, the weekly cycle made for humans was given to us to accommodate our mortality and the practical pace of mortal life, but the lessons are spiritual. These spiritual lessons are not bound by time, which is only an analogy in the material of what is found in the eternal. Therefore, the repentance, death and resurrection cycle is found repetitiously present in each second, minute, day, week, month and year - wheels within wheels as it were. The gyroscope of our spiritual growth stably points in the direction of the Father so that we are created in His image instead of one of our own conjecture. The line separating the two is a fine one because the spiritual being whom God creates in us is a co-creation, reflecting our own unique expression of love, our personal identity in the ONEness of God. Such was the reality for Jesus, the Son born of the Holy Spirit, the ONE human naturally born of pure goodness in nature. This being true, why should it be any different for a mortal believer who must deal with his or her own deceitful nature, which believes itself good but is also sinful, as well as that of others present? People are naturally alien to God’s love and being. God, knowing God’s will, accessing God’s power is not easy, natural or automatically accessible to anyone. It is not a matter of difficulty and practice such as learning a foreign language. Native language is naturally normal and to be expected of every child. While languages may seem to be variable in complexity, they are similarly easy for a child to learn from birth. Thinking, living and influencing the world around us as Jesus did is not natural to us. Miraculous powers are not subject to our control, nor determined by our sole decision and/or convincing of others by any means. If it were otherwise, many of us would gladly go anywhere on the globe as miracle workers to relieve the sufferings we know to exist among the nations of our planet. However, I believe that I have some sense of how it is to be a miracle worker at God’s command, in accordance with His will. In other words, I think I know how I would know and feel if and when called upon to be God’s venue to work a miracle. From personal experience, I have known prayers that would be answered in the future of their offering, and so I believe ONE would experience a similar knowledge by the mind of faith before a certifiable miracle would take place. At times, I have prayed for strangers and sensed God’s power to flow to some end or purpose only vaguely apparent to me. Mostly, I pray to no sense of anything special and receive but the duty of faith’s exercise. I may possibly feel or sense these things because I want to, but there are times when outward, material and observable by neutral others’ witness seems to verify my sensation. The bottom line is that God’s purpose will be done. Jesus does instruct us to ask in order to receive, but God’s purpose is ultimately dependent on no one but Himself. We do not need to invoke His will in order for it to happen, for God is unconquerable. Nor can He be commanded, for God is totally victorious and never ending. Our Creator can literally raise up dead rocks of humanity to praise His Name and perform His will. As His creation, we are free to respond: to accept His liberating freedom from sin and death, or not. We are free to volunteer to perform His good work of the moment, or not. Yet regardless of our decision, God’s promises and purpose will come about by some way known or unknown. It is simply our privilege to ask, to intercede, to influence, to act and thereby to grow in harmony with His mind and purpose. We grow by experiencing His purpose fulfilled in our lives and others. We grow further when we see His purpose materialize a little differently, perhaps, that we might have expected or desired. When we act in faith, we participate in the cosmic conjunction of the material and the spiritual, of the Holy Spirit and multiple person presence. So if fellowship in the Spirit is the key to releasing God’s power, why don’t we hear about and witness abundant miracles in churches and camp meetings, assemblies and prayer circles? Well, in fact we do hear of some occurrences of spiritual work done, but not enough. Neither are most “answers to prayer” and “divine interventions” clearly holy encounters of suspended natural law testified by neutral third party, evidence not subject to manipulation. A more complete answer is that the quality of spiritual fellowship has become measurably diluted to corrupted to commonly experienced impotence as a result of the success of Satan’s first historical attack on the churches of God. What did Satan attack? The intensity of God’s grace, the reality of the new nature born within us. Satan accomplished the destruction of true fellowship’s potential spiritual functions through fear. We fear to love, to commit to the burdens and blessings demanded by Godly love. We fear being taken advantage of, or of being hurt if we love. We fear the greater depths of intimacy required to experience the deeper depths of God’s grace. We are unable to be fully, totally, completely honest with others of our faith - not even with our spouses or best friends, for fear that we will not be forgiven, accepted or liked for who we are - with all of our weak, selfish or evil thoughts, feelings and/or deeds. Therefore, we are also incapable of being fully honest even with ourselves. So, like Ananias and Sapphire in Acts chapters 4 and 5, we hold ourselves back in part and act as if we give it all or repent of it all. This husband and wife sold their property, as did he who was to become the great apostle Barnabas, only to present part of the money as if their gift was the total proceeds. For this purposed jointly planned deception, this lie to the Holy Spirit, they died immediately. In the end, anyone will die who pretends to repent of all sins and offer all of his/her life. If we knowingly hold back some corner of the old man ego and only partly surrender, we shall die. If we deceive ourselves that we have surrendered all - when in fact we have not, we will die. Granted that repentance and spiritual growth is a process that does not, or should not, end until death. But to repent of all sins means to confess all sins that we know to God without reservation and as appropriate to those who know us. What is appropriate is often not comfortable, but neither does it smell of ego righteousness or manipulation of a situation or image. All must forgive and be forgiven in the context of deep fellowship with others and by those who know us best. In this manner, we might better forgive ourselves and others in turn. Godly forgiveness alone is a virtuous codependent cycle. Without such forgiveness we do not know in the full depths of our own hearts (in the scientific sense of a reality more certain than gravity), that God has forgiven us. Otherwise, doing anything else, means we have self-limited our service to Him. Collectively, Christians have done this to the point that the church is hobbled by our humanity. By responsible indirect or direct choice, too many calling themselves Christians have severely limited the exercise the power of God’s Holy Spirit according to His purpose through His presence in them. The New Testament is replete with the evidences of the early Christian fellowship’s dilution of God’s omnipotent power. It records deceivers among believers, wolves among sheep, and doubters among the newly won. In vain, the apostles anciently warned and fought to protect the pure sanctity of grace-filled Christian fellowship, of love undefiled. Since then, most of western peoples have heard the story of grace and Jesus’ death for our sins from earliest recollections. The impact of that gospel message has been lost, attenuated, swallowed up in repetition and made common in its abundant prevalence. The gospel of Jesus Christ has the status of “old news” in world of our intellectual awareness. Chiefly, Satan has succeeded because he has used the members of the Body against Herself in a kind of spiritual jujitsu. The mortal weaknesses of one member become inspirational cause for the doubt of another. Material needs to mask spiritual, for Jesus did not intend material supply of food, clothing or hospitality as ends in themselves but as embellishments, afterthoughts to the satisfaction of spiritual hunger. Without harm to Himself or affecting His state of being, God is able to provide rain upon the just and the unjust, the good blessings of life upon the ungrateful, but not to the church. Even Jesus could do no miracles in a social environment of a doubting community - e.g., within the context of His own church congregation as it was when He walked among men as a Jew among Jews, one community of multiple religious opinions and movements. Satan has used many tactics to divide believers: one against another. He infiltrated the assembly of believers with doubt spread by unbelieving wolves who seemed to be sheep. My guess is that most of those “wolves” were sincerely self-deceived, though many have consciously used the goodly innocence of Christians to satisfy carnal needs and desires, to acquire food, money, sexual favors and power over others. Such are cursed in their own imposed annihilation of withering consciousness and soul. The fellowship assembly of the early church was so full of God’s presence that it was holy. Ananias and Sapphira died instantly because their perfidy touched that holiness. Just as Israelites in the past had died from touching the ark containing the ten commandment tables of the Sinai Covenant seemingly in order to keep it from falling as it was being moved from one place to another, so the holiness of the New Testament ark of the covenant (containing God’s Spirit, Himself) had been touched by Ananias and Sapphira. Their premeditated lying behavior threatened that first congregation’s faithful and complete trust in each other and the forgiveness granted to each other without reservation of any kind. 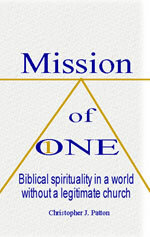 The concept of sacred holiness, o truly awesome glory is alien to secular materialism. Holiness is sacred. Someone or something is holy when it is a portal to the presence of all life, all goodness, all love, all joy, all peace, the ONE God. Imagine, sense, soar in a panoply of intense joy, peace and warm love blazing in the surrounding aura of full color light blazing in the waterfall sounds of harmonized thunders in an orchestra of natural and instrumental praise. Such is my feeble written attempt to describe what it would be like to be in the presence of holiness. It falls way short, I know. Just push it to the limits of your soul in quiet contemplation and let your own creativity paint the picture. I wish I could share it with you in person now, but even so, we could not truly open to such depths while mortal. It shall not always be so. One day in the true presence of God we shall be ONE with Him in sharing, living the full joy of God’s peace in an everlasting life ever creating in a creation more than expanding. When God spoke to Moses out of the burning bush, Moses had to remove his shoes for the ground had become holy. Manmade shoes could not come between God’s present habitation and His children. In the presence of God’s glory, no man can live without humility: before the glory of life the death present in man flees before God and snuffs us out in its exit. There is no death in God. There is no evil, no darkness, no fear, no doubt, no bitter sorrow or self pity, nor war. Therefore, none of these should be found in the fellowship of the faithful, in the Church spiritual. By Church, I intend all Christians, but not everyone who thinks of himself or herself as a Christian is ONE indeed. A true Christian is ONE in whom Christ’s Spirit, the Holy Spirit of God, is alive and present in a bodily temple freely prepared for Him amidst the material world that will be given a new name, your name, made sacred by His presence. We should take our shoes off of our lives as well as that of others less we stomp out the holiness of God with our naturally striving egos. It is not for us to judge ourselves, nor another. But how does ONE who has tasted God’s grace so deeply fellowship with those who have not done so themselves? With great humility and love as Jesus lived among us alone. He taught those who continued with Him in ignorance and doubt to the point of even washing their feet - including the feet of Judas, his known betrayer. Such is God alive among us, a Spirit of holiness housed but not hindered by human haughtiness, the tomb of our flesh split open to God forever in His service to the unbeliever. ONE does not slay them: ONE loves them to their own ego death.